Whilst Helen of Troy may have boasted a face that could launch a thousand ships, the Korean film industry posses, in the form of impossibly handsome Kim Su-hyun, a face which can shift millions of movie tickets with little effort. 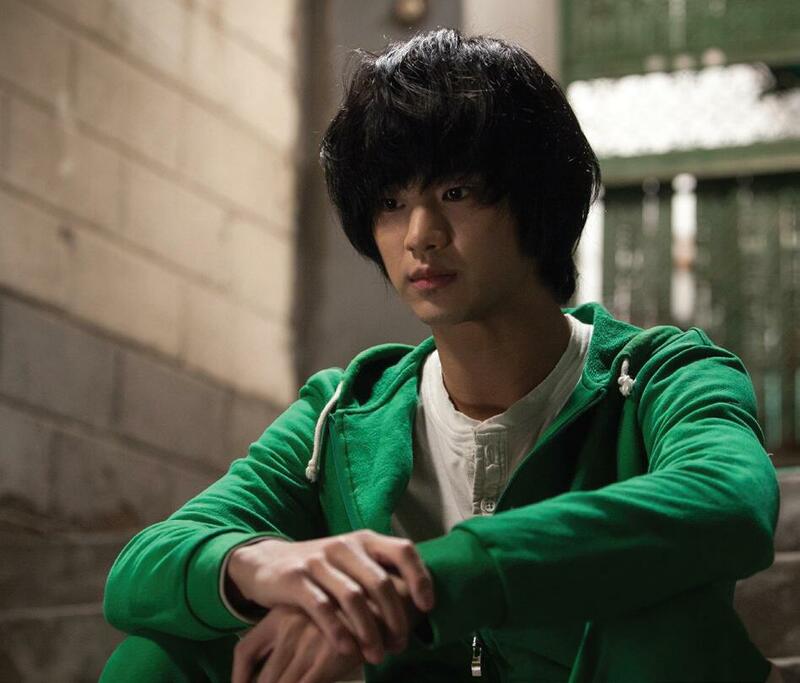 Secretly, Greatly, Kim’s first starring role on the big screen, recently caused a storm at the South Korean box office and became the quickest film to pass the one, two, three and four million attendance figures in the nation’s history – in little over a few weeks, nearly 10% of the entire country had witnessed Secretly, Greatly. The huge shame, therefore, is the fact that the comedy-thriller hybrid is not actually that great at all. Kim stars as the dedicated and elite North Korean agent Won Ryu-hwan who, in service to his country, inveigles himself into a South Korean community under an alter-ego, ready to act upon orders he may receive from highers up at any point. Sadly for the young agent, the role he is to assume is hardly a gracious one - his new identity, given to him by Northern higher ups, is that of village idiot Dong-gu. To fully convince as his new character, Ryu-hwan takes method acting to the next level and makes a point of being seen falling over, urinating and defecating in the street on a regular basis - it's a broad stroke and hardly sensitive approach to mental illness. More lucky is Lee Hae-rang (Park Ki-woong) who, partially through nepotism, is given a new role as an aspiring rock star; he sports the type of hair style which isn't listed in officially approved North Korean literature but one which helps him blend in well with his new neighbours seamlessly. The only hole is his plan is that, for a rock star, he simply can't play the guitar very well. Lee Hae-jin (Lee Hyun-woo) is a third Northerner assigned the village; he's the most serious and somber of the group and, by portraying an average student, blends in with the minimum of fuss. Each of the three Northerners live life in the South as best as they can, patiently waiting for commands to come from their communist higher-ups. What none of them can expect are new policies from Kim Jong-un towards appeasement of the South - if their capitalist neighbours learn of the sleeper cells in their country, the whole negotiations may fall apart. Pyongyang decides, to cover their tracks, that perhaps the secret spies should kill themselves - news which, unsurprisingly, is not received particularly well. Secretly, Greatly is a bizarre film with wild tonal shifts that are jolting even in the context of their existence inside a Korean production. The movie is concocted from a slap-dash recipe – one part broad comedy, one part thriller, one part melodrama. It's a feature which fluctuates between comedy pratfalls and cross-dressing social embarrassment, tense shoot-outs and bloody fist fights, and saccharine laments. There, too, are an array of needless supporting characters and sub-plots who exist, seemingly, for the dual purpose of filling up screen time and making matters even more convoluted than necessary. The stock character of the troubled girl with a heart of gold arrives and leaves with little consequence, for example. In short the tale is a mess. Secretly, Greatly often feels like two separate movies have been bolted together – the set-up is sub-Johnny English, the pay-off is a watered down version of the incredibly popular Korean drama IRIS. It’s unlikely the huge attendance figures it gleaned in South Korean will be replicated elsewhere - it is a movie that’s unlikely to travel well. That said, it's impossible not to admit how incredibly handsome Kim Su-hyun is - I'm sure his name and face alone will be responsible for selling thousands more tickets over the course of his hugely promising career.